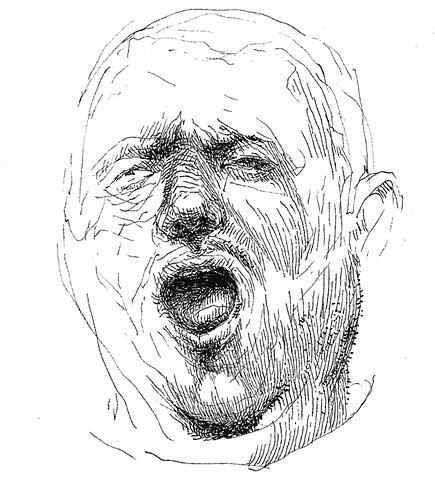 This zine features a collection of delicate pen and ink portraits I made from looking at the blurry blown up margins of photographs of Trump rally crowds this summer. I had just spent several days watching the RNC through VPN on a laptop while at a residency in Shanghai, China. Far removed physically from the political theater at play, my sense of frustration and individual impotence was especially high. The drawings making up this zine began from this tense psychological place - but as I did them, they slowed me down, and made me really look, ask questions, and grapple with nuance (as drawing does). Available for sale at Printed Matter, NYC and Atomic Books, Baltimore.